Charles Paris is his own worst enemy, a louche lush who can resist anything except temptation - especially in the form of women and alcohol. He's been out of work so long now he feels he may never get a job and he's driving Frances, his semi-ex-wife, mad. So when he's offered a small role in a play, she nearly pushes him out of the door. But it seems that 'The Message is Murder' is such a terrible production that someone wants to kill off the cast. First there is a series of nasty accidents, then someone attempts to stab Charles. Can he find the murderer before they strike again? 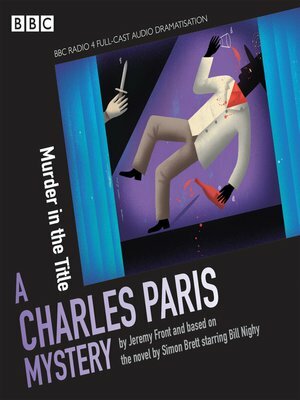 Bill Nighy stars as Charles Paris in this entertaining dramatisation by Jeremy Front.